Article in Japanese, dated 2017/08/08. A table that lists the types and numbers of aircraft that JGSDF, JMSDF, and JASDF had, as at 31 March, in 2017 to 2013. For example, as at 31 March 2017, JASDF had 92 F-2A/B, same as in previous fiscal years. OTOH, as at 31 March 2017, JASDF had four F-35A. Personally, I'm more interested in the numbers for F-4EJ, F-4EJ Kai, and RF-4E/EJ. JASDF, based at Matsushima AB, Miyagi Prefecture. First Matsushima AB air show that opened to public after 2011 earthquake and tidal wave destroyed air base. 2010 air show had 65,000 visitors. 2016 "Reconstruction appreciation event" limited to 10,000 visitors. 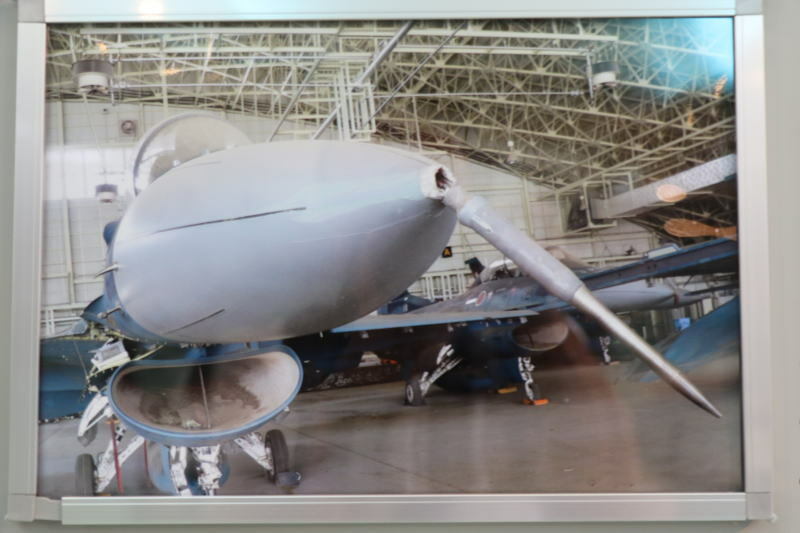 Japanese blogger went to JASDF Houfu AB air show in 2015. 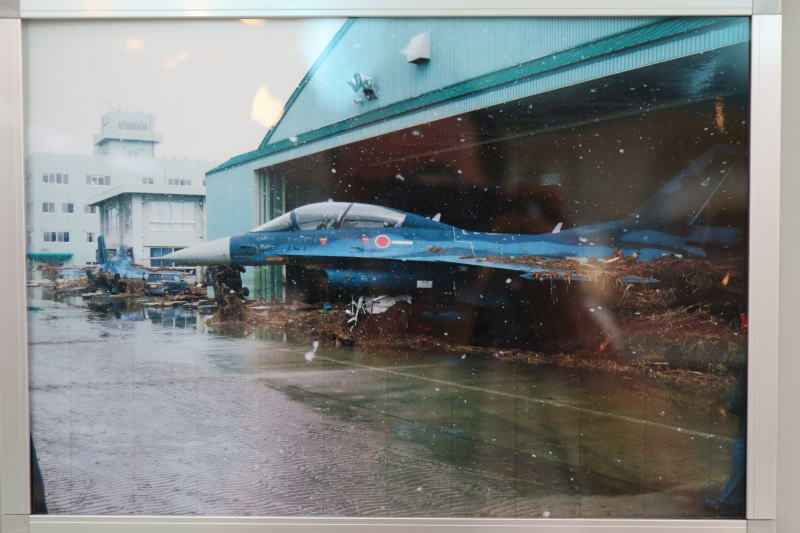 Photos of damaged F-2 at Matsushima AB in 2011. 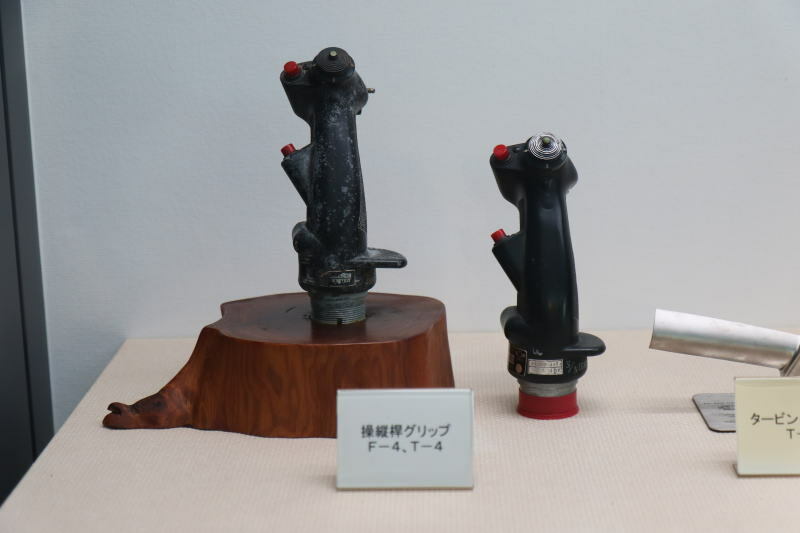 F-4 fighter and T-4 trainer use same control stick. Bonus: dudette who was one-day Houfu AB commander. Takaginomori Sports Park, Ooshio, Higashi Matsushima City, Miyagi Prefecture. 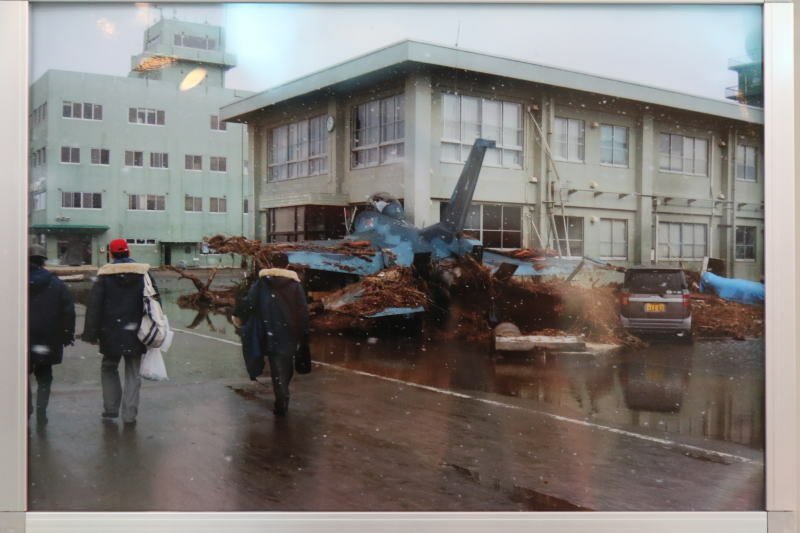 2011/03/11, at Matsushima AB, Miyagi Prefecture, tsunami damaged 28 F-2 and other aircraft and hangars. Matsushima AB used giant tents as temporary hangars. After Matsushima AB hangars repaired, Higashi Matsushima City received and moved two giant tents to Takaginomori Sports Park, in fiscal year 2014. 2017 July to November, tent interiors renovated with anti-ball nets, black earth ground, LED lighting, pitcher mounts. General public can use tents as all-weather, indoor baseball and soccer training. Height 11 m, length 85 m, width 24.5 m.
2017/12/16, renovation memorial baseball class, with 120 students from local primary and secondary schools, and 20 teachers from baseball team of Nippon Paper Industries, Ishinomaki factory. Nippon Paper Industries, baseball team. Nippon Paper Group, Nippon Paper Industries, Ishinomaki factory. JASDF, based at Tsuiki AB, Fukuoka Prefecture. 19:25 to 19:30, at Tsuiki AB, after landed, left and right landing gear tires punctured, and stopped on runway for one hour. One of flight of seven. Four diverted to Komatsu AB, Ishikawa Prefecture. One diverted to Ashiya AB, Fukuoka Prefecture. One diverted to Iwakuni AB, Yamaguchi Prefecture. JASDF, based at Misawa AB, Aomori Prefecture. After earthquake in Hokkaidou, at 3:08 on 2018/09/06 Thursday, all air display flights cancelled at Misawa AB air show on 2018/09/09. Some ground displays of aircraft from squadrons not based at Misawa AB, are cancelled too. Collided, above sea, west from Kyuushuu Island. Returned to base, and emergency landed. Air combat training, 200 km west from air base. 15:55, after training, collided, during mutual appearance inspecting each other for abnormal. #2 damaged fuel tank and missile launcher below left wing. Did not carry missile, and did not leak fuel. Leader looks like #509. 03-8509. Thank you for the (always excellent) updates. 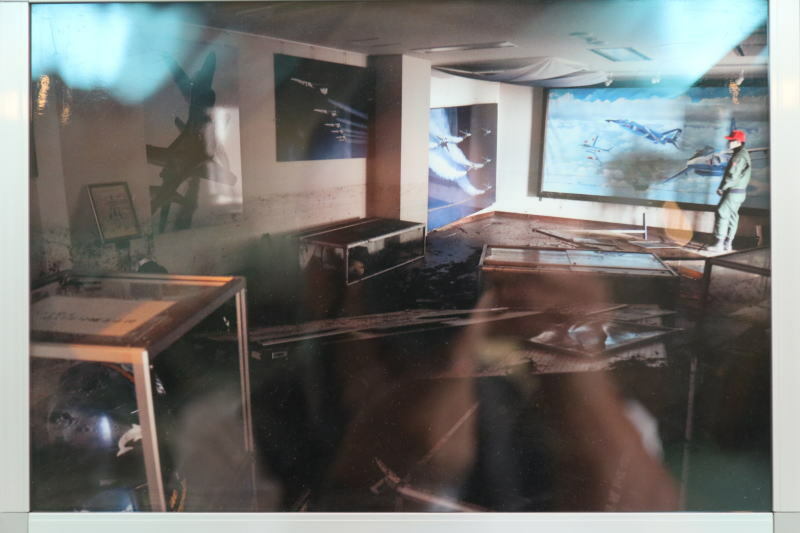 JMOD, Air Staff Office announced accident cause was human error. #1 was Major, above 40 years old. #2 was First Lieutenant, above 20 years old. After training, #1 inspected #2 exterior appearance. #1 communicated by gesture and radio to turn left, and switch inspection. #2 thought #2 would inspect #1 after they turned left. #1 thought #2 would inspect #1 while they were turning left. Each thought he would be inspected by the other, lost sight of the other, and turned left. Result was #1 vertical tail collided #2 left wing bottom side. Retired JASDF, based at Matsushima AB, Miyagi Prefecture. Retired JASDF guard dog Izu passed away. It was 12, or 89 in Human years. Izu was last of guard dogs that survived tsunami at Matsushima AB on 2011/03/11. Izu worked at Iruma AB, Dasaitama Prefecture. From 2011 February, worked at Matsushima AB. 2011/03/11, tsunami flooded kennels building. 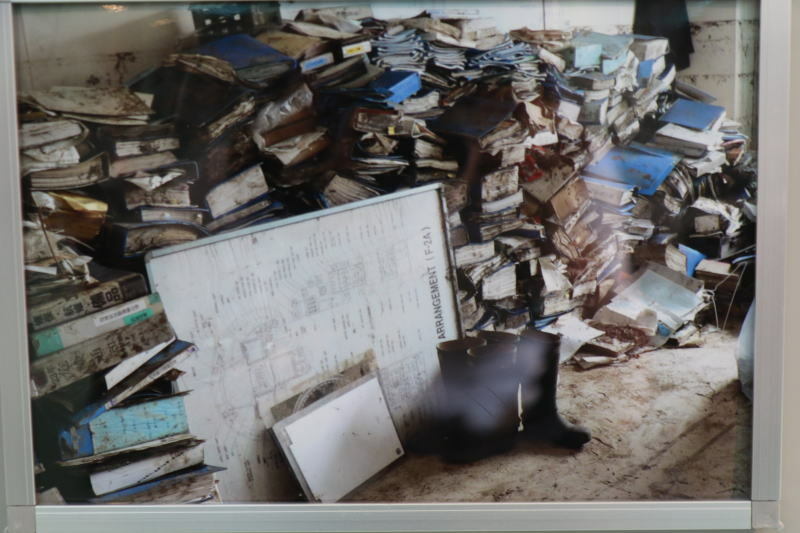 Next day, after water withdrew, soldiers inspected building. They found guard dogs managed to swim, and were afraid, dirty, and survived.